It is reported that 71 percent of wine drinkers in United States choose red wine, and this majority is on the right track when it comes to the health benefits wine offers. Studies show that the compound resveratrol, found abundantly in red grapes (and blueberries), offers several heath benefits, including antioxidant properties that may lower the risk of type 2 diabetes and may even may help prevent cancer. A two-year animal study found that when a daily dose of resveratrol was administered (the equivalent of two glasses of red wine daily), the risk of developing cancerous tumors went down 50%. 1. Pinot Noir: It consistently has the highest concentrations of resveratrol, especially if the grapes come from cool, rainy climates (think Oregon’s Willamette Valley or New York’s Finger Lakes region rather than California’s Napa Valley). 2. Cabernets, Merlots and Syrahs: While they come from different grapes (cabernet is made from tannat grapes, merlot is made from blue grapes, and syrah is flavored with black currants), all contain high levels of procyanidins – an antioxidant that has been linked to longevity and cardiovascular and arterial health. 3. 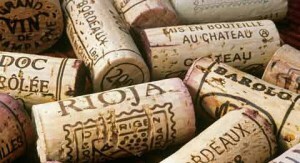 Dry Wines: They tend to have higher levels of flavonoids, which are beneficial to heart health and cholesterol levels. Sweeter wines tend to have lower levels of flavonoids. Dr. Weil recommends organic red wine, and limiting your intake to no more two servings per day. And if you do not drink alcohol, do not start for health reasons, as these health effects are subtle and one can enjoy excellent cardiovascular health without them.